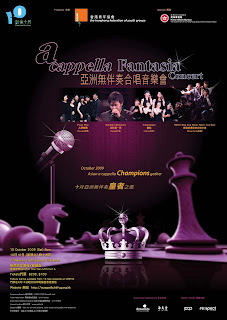 Some of the most talented Asian a cappella musicians will gather in Hong Kong this October to lead local music-lovers on a fantastic a cappella journey. The impressive Takarabune, the all-girl Japanese group famed for phenomenal bass notes and dazzling vocal percussion skills, will be here in Hong Kong! Joining them will be the world-renowned vocal percussionist, Kaichiro Kitamura and the award-winning Taiwanese group Focal Plus. Completing the list of performers is the local critically-acclaimed group, the HKFYG Hong Kong Melody Makers. Members from their midst recently won the 3rd Asian Youth A Cappella Singing Competition in South Korea. Together, these ensembles will give a series of performances at various Hong Kong venues, demonstrating their exquisite skills during the Creative October event. Join them on their journey. It’s one you can’t miss! !